We are a cohesive, award winning group of licensed professionals with collectively over 30 years of architectural client services. Our project experience is diverse, including civic and cultural, K-12 education, post-secondary education, industrial, religious and corporate projects of varying sizes and complexities. Foundation Architects utilizes the latest AutoCAD, Revit, 3D design and rendering packages to communicate the innovative, inspiring and memorable environments designed for our clients. PURE architecture Studio, llc is a progressive design firm that truly believes in "green" design. This can be traced to the founders education at the University of Colorado in Boulder. The city of Boulder has a long history of being energy conscious and environmentally aware. These concepts along with designing your project to fit into it's surroundings come natural to the design team. We look forward to working with you on your next exciting project. Gregory Olsen is an expert in residential home design and has over 26 years of experience. During his 26 years, Gregory has successfully completed over 1,000 residential projects in Wisconsin which include both new construction and renovations. Gregory takes great pride in his philosophy of designing for his customers, not himself. With experience and integrity, Gregory continues to produce beautiful home projects in southeastern Wisconsin. DavisDesignStudio is a small, full service, residential architecture and interior design firm. 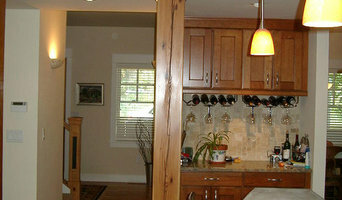 We specialize in new home design as well as additions/remodeling/renovations. We are small by intent. Our goal is to connect with each of our clients on a personal level and deliver a unique, interactive and enjoyable project experience. There is no more personal expression of architecture than a home. It represents who we are, how we live and what’s important to us. We help our clients realize their vision of home through a creative process that combines our experience, passion, artistic insight and expertise. Beautiful residential design, unique architectural solutions, fun process- That's Pen & Hammer. Message us if you want to talk about your home needs! RELATIONAL ARCHITECTURE Designing buildings that connect with people and places. Creating places that inspire, enrich, or simply work well is vitally important to us. In fact, every project we pursue is based on our ability to advance our clients’ lives. At Abacus Architects, we design to build relationships. It’s only fundamental. Architecture should serve the people who inhabit the places we create, not the other way around. It’s architecture for all of us, building together to reach a common goal. PROFILE In 2003, three architects and a civil engineer got together to build on an idea: An architectural firm of employee owners vested in the company’s success. A firm inspired by client priorities, not architect egos. A firm where people come first, everything else second. A firm of equality, not hierarchy. A firm dedicated to serving the common good. Today, Abacus Architects, Inc. is a full-service firm deeply committed to enhancing human lives and enterprises through the practice of architecture. We apply our expertise in architecture, civil engineering, interior design, lean concepts and consulting, master planning, facility and site studies, and construction administration to help our clients maximize their success. Our offices are located in two of the oldest buildings in Sheboygan and Milwaukee, but our attitude is decidedly young. Offering large-firm resources with small-firm attention, we partner with clients to create projects that have meaning. I am a registered architect with 40 years experience. Hello, I’m Rick LaMuro and welcome to my Houzz portfolio. My approach to architecture is listening to my clients and with their input, creating a one of a kind design that is functional and beautiful to the eye. I’m a one person firm so when you hire me, you get 100% of my attention and the person you speak with on the phone is the person who is designing your dream. With an art background and 38 years of bringing people’s visions to life, you can be assured you will receive the attention you deserve and the results you will be proud of. I will be as excited about your project as you. I love my job! Commercial and Residential Interior Design Firm. We come up with solutions beyond your expectations. Taking every detail of your life into consideration. No cookie cutter design, No Ego, we take your style and make it into something you will love for a lifetime. With more than 20 years of experience in the building industry, we take pride in the value, quality, and craftsmanship reflected in every Steeple Pointe Home we build. Our process begins with you. 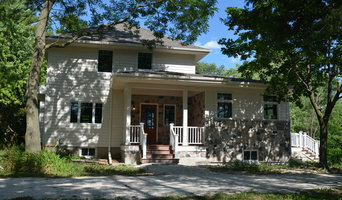 It is our goal to help our clients realize their dreams and desires in a custom built home. We will do everything structurally and humanly possible to turn your vision into a workable design, delivering a home that meets your needs and exceeds your expectations. Your complete satisfaction is our greatest reward. As one of Southeastern Wisconsin's premier custom builders, our capabilities include home building, residential remodeling and basement finishes. Our clients remain fully engaged each project through a simple, step-by-step process, developed to provide guidance in every step from concept through construction and completion. We enhance the building experience by providing practical advice and educational insight backed by years of experience. We offer a flexible accommodations and selections process to help align your desires with your budget. In addition, every craftsman employed in our construction process is a master of their trade and they and share our steadfast commitment to excellence. Steeple Pointe Homes has earned an outstanding reputation for performance, dedication and customer satisfaction. We believe in the power of personal communication and its ability to transform a daunting project into an enjoyable and exciting experience. Spend some time with our team and we think you will agree that your dream combined with our passion makes all things possible. ARC provides a range of architectural services to home owners, building managers and contractors. Established in Racine since 1992. We specialize in residential and commercial building design, interior design and high quality millwork design. COAXIAL: MONTOTO DESIGN is an architectural & design practice with an approach that emphasizes trans-disciplinarity within the design process. Understanding people and their needs through trans-cultural, trans-social, trans-political, trans-religious (essentially co-axial) sensibilities as a means to direct research, analytics, design making/thinking, and design outcome offers solutions that are intensely responsive to client needs as well as exceedingly innovative. Overall design goals of the practice are driven by a desire to move, inspire, and stimulate everyday experiences out of the normative and into the unexpected. This is achieved through controlled, dynamic, and deliberate architectonic expressions of space while providing for effortless functionality.